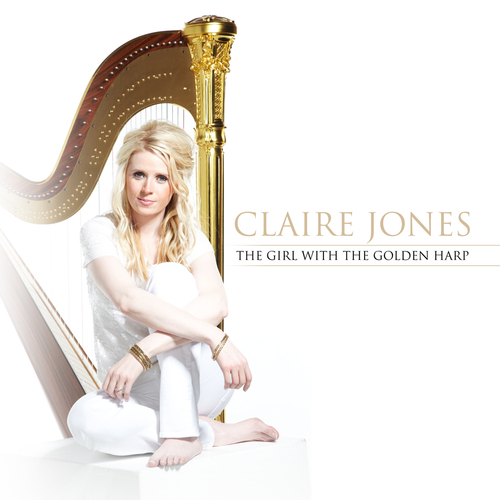 A year on from playing at the wedding celebration of the century – that of TRH the Duke and Duchess of Cambridge at Buckingham Palace in 2011 – popular Welsh classical harpist Claire Jones released her album "The Girl With The Golden Harp". The album showcases Claire’s talent with a beautiful collection of tracks especially arranged for the harp. Stunning new versions of much-loved pieces such as Dvorak’sSong to the Moon and Debussy’s The Girl With the Flaxen Hair appear alongside a range of carefully chosen traditional Welsh pieces. The album also includes Heartstrings, a piece written by Claire’s fiancé, composer Chris Marshall. He wrote the piece as a gift to Claire on their engagement, and fittingly enough, the album was released the same week as their wedding. Claire Jones - Mon coeur s'ouvre à ta voix (Softly Awakes My Heart) from "Samson et Dalila"
Claire Jones - O Mio Babbino Caro ("O My Beloved Father") from "Gianni Schicchi"
Claire Jones - Themes From The Opera "Eugene Onegin"